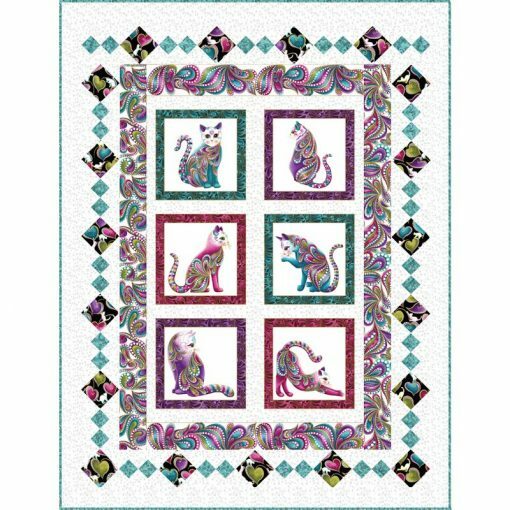 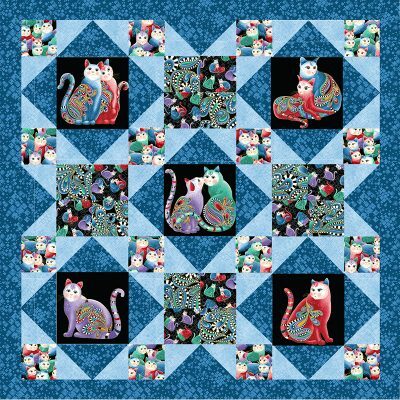 A fun and playful panel quilt – the cat’s meow! Easy piecing in 3 sizes. 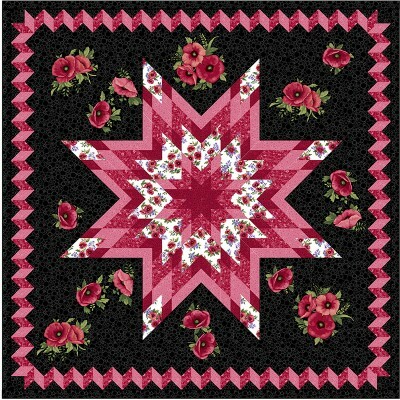 Wall, Small Lap and Lap sizes.